Your new domain grants you eligibility for ranking on your TLD's social Leaderboard. The Leaderboard is used to identify and engage the top Influencers among your TLD's Community. TLD Leaderboards may be used to engage advocates for brands, run social competitions, or create a realtime engagement metric for your TLD. 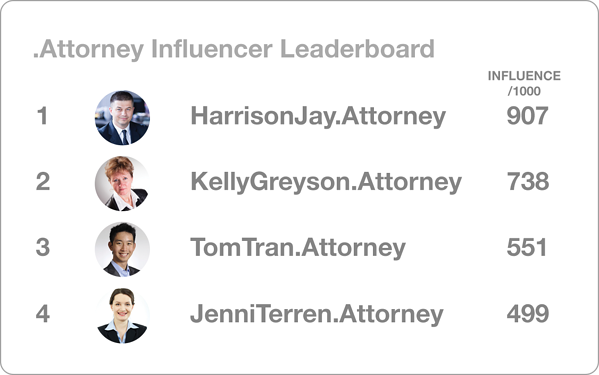 Leaderboards gamify and provide actionable insights into a Community of Influencers. Secure your new domain from Domains.Best to access the Membership Benefits of your TLD.